known actress and daughter of Goldie Hawn. The mission of Fabletics is to motivate and support women to lead healthy and active lifestyles, and do to it with an eye for fashion as well. My daughter purchased a pair of leggings and a sports bra from the website, and was very pleased with the style and quality of what she received. monthly subscription plan offered by the company and the customer service they provide. Back to my daughter...She was lured in by the 50% off the first order, and probably the cool Kate­Hudson­workout commercial. She didn’t read the fine print (nor did I) that said she would be charged $49.95 each month unless she signed in and elected to “skip” the month. She was charged for three months without ordering anything. All is not lost, however, as she has three store credits for those months, which she can use to buy three outfits at any time. It is this stipulation ­­­the month “skip”­­­ that has people choosing sides on the web. There are thousands of people who have complained about the sly way that Fabletics hooks people into a subscription plan. Case in point...When I asked my daughter about the subscription plan as I prepared to write this piece, she said Fabletics doesn’t have a monthly subscription plan. They do. I should have looked into it more closely myself (as my daughter is 17, and this is on my nickel), but I didn’t. There are some people who refute the claims that others were tricked into the monthly subscription plan by saying it was quite clear that folks are signing up for such a program, and that it is pretty darn easy to log in and click “skip” before the 6th of each month. In my brief scan of the website, I didn’t quite find this all­ important “skip” button, or link, or whatever the heck it is. And, unless it is the 6th of the month, isn’t always before the 6th of the month? UPDATE: I did a little more poking as I write this, and I’ve found that the skipping and/or canceling needs to occur between the 1st and 5th (inclusive) of each month if one wishes to not get charged for the month. I gleaned this information from the complaint of a woman who needed to return an outfit because it didn’t fit. She noticed she was charged another $49.95 and was subsequently told by customer service that she needed to deal with these things between the 1st and 5th of the month. Logging in each month between the 1st and 5th to “skip” is one thing, but having to deal with returns during that time frame as well is a little ridiculous. Furthermore, there are many stories of customers who find it very difficult to cancel their membership. One woman reported that her credit card company had to step in and recalled charges and blocked any future ones as well. 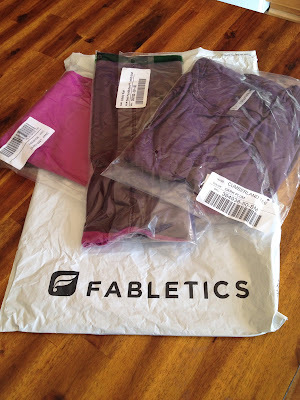 All in all, I recommend not getting involved with the Fabletics (http://www.fabletics.com/) brand of fitness wear. My daughter loves the clothing she received from the company, but the hassles associated with the monthly subscription ­­­including not even noticing that we were involved in a subscription plan are enough for me to give them a thumbs down.